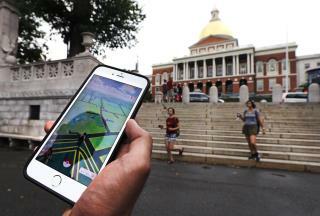 (Newser) – With the smashing success of Pokemon Go, one would think Nintendo must be happier than a Jigglypuff. But in a statement Friday, the company says that even though its share price initially spiked, it's not going to reap great financial rewards from the game and that the impact on its bottom line will be "limited," Mashable reports. That's mainly because it doesn't actually make the game: Nintendo is the publisher of the original Pokemon games made for the Game Boy system, but a San Francisco-based company named Niantic developed the new augmented-reality game in conjunction with the Pokemon Company. And Nintendo only owns about a third of the Pokemon Company, which wields the intellectual rights to all things Pokemon, the Verge notes. Lot of day traders out there not knowing what they are doing, evidently.